Walter Exploration is based in Dallas, Texas. 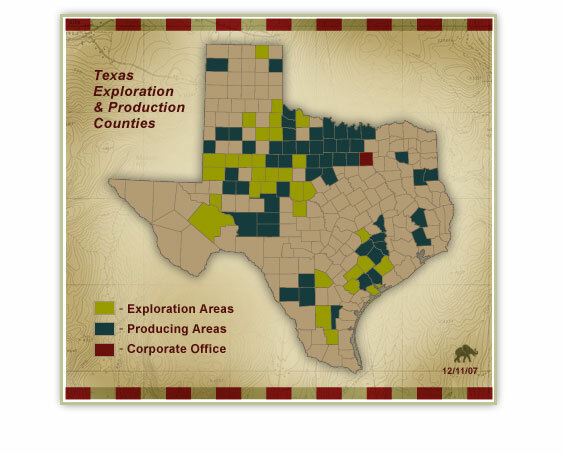 Our operations are focused mostly in three core areas of Texas: the Texas Gulf coast, North Central Texas “Barnett Shale” and West Central Texas “Eastern Shelf of the Permian Basin”. The majority of exploration, production and acquisition efforts are spent in our three core areas of Geological and Seismic expertise.